When an entrepreneur takes baby steps towards a new venture, a startup business plan template can be of immense help. It helps you as an entrepreneur, to put the plan that you might have in your mind on pen and paper and bring out a lot more holistic strategy for your better success. A plan will enable you to move ahead in a comprehensive manner. It helps you be it the decision making aspect or execution element. But something that is very special about a business plan template for startups is the fact that it is inevitably simpler and less detailed. The financial projections occupy more space than performance aspects. The whole focus is getting the startup business on a strong footing. For starters, a business plan template for startups has to be more straightforward and practical. The need for clarity and direct pitching is crucial. The cardinal focus in the plan shifts to the execution element. 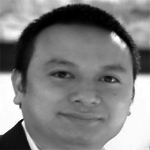 You must realize that most startups face maximum problem in that aspect. You often face an uphill task in trying to successfully implement this core department. So then the question is how can it help the overall business success? 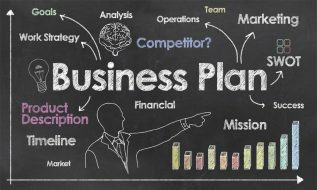 How Does a Startup Business Plan Template Work? Well, when you consider a startup business plan template, don’t think you need it only if you are putting up a huge manufacturing unit or establishing a multimillion dollar business. In fact, it can be equally effective for someone starting even a basic cottage industry initiative like making candles or designing jewelry. A business plan will not just help you take a comprehensive view of the overall business. It also throw up interesting suggestions about how to improve it. The reason for this is when you primarily start jotting down the various scattered parts in your startup business plan template, it deepens your overall understanding of the business. Better plan for future eventualities through more direct future expenses and costs detailing. Not only would these details help your business get going but often highlight aspects that could have been shrouded in uncertainty hitherto. A well laid out plan always manages to bring the core issues in focus. How to Get a Headstart in Your Planning? Often when first time, business persons employ a startup business plan template, it is with the whole idea of gaining a headstart in the basic business model. We have all read and heard about the advantage of executing a written plan. However, the point is you need to be methodical and extremely systematic in your basic approach. The first step in this process is inevitably the pitch of your business. The detailed market analysis for bringing about this pitch is no doubt instrumental in addressing customer problems with greater depth and taking a critical overview of the overall business motives. Therefore a startup business plan template plays the dual role of both enabling documentation and boosting execution. This is of particular interest to entrepreneurs who might be a bit overwhelmed tackling the multiple challenges a startup throws up. When you set about to write a business plan, even a simple one, you must remember a cardinal aspect. Not all businesses require the same type of plan. You have to move ahead in business in a stage-wise manner. You must remember that there is a fundamental order that you must follow. In this regard, it always helps if you can broadly discuss the plan with the key stakeholders, partners or other friends who share the initiative with you. One option is to follow the basic startup business plan template keep adding elements to it on a need basis as the business progresses ahead. Say you move gradually from the type of business to the funding sources to basic objective and then perhaps move to the ultimate aim of doing the business. Some simple business options starting from home would require a relatively simple and lean startup business plan template. But there are many others that would need more details and involves several complicated detailing including a broad balance sheet analysis. The point that you must remember in this context is every business has a plan, and you must have a properly written document to make it useful and relevant to your business objective. That said one fundamental factor could still be a concern for you. Why is planning useful and why do you need a proper startup business plan template? Well, planning has a multitude of benefits. 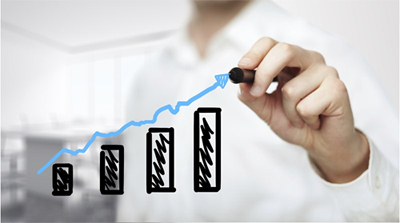 Effective communication of business goals and objectives and their easy implementation. The various topics discussed in the plan add value to the fundamental idea and boost pace of decision making. If people outside the company are involved, it is a brilliant channel to provide instant and comprehensive ringside perspective of the ground realities. The plan can easily chart out the competition, the factors abetting growth, the target market and key consumers to focus on and the overall strategy that needs to be implemented. Have a clearer picture in front of you with the basic financials like sales and profit all in one place. Bring about a detailed market analysis. Help you manage inventory a lot efficiently and improve economies of scale. Boosts sale collections and improves quality of record keeping that you follow. A startup business plan template can also help more effective tax computation and significantly higher savings. It goes without saying that a proper startup business plan template can provide a major fillip to your business whether you have started operation or still planning to do so. From providing a realistic financial analysis to improving the fundamental quality of planning that goes into the execution of a startup business idea, it is this business plan template that can often make the cut. As an entrepreneur, it also takes your overall comprehension of the business motive and objective to a much higher level and as a result bring out a lot more cohesive execution. Very good. I have learned a lot that will help me in my business start-up.